Poetry is popularly considered to be an art of the self. When the figure of the poet is parodied, it’s most often as an emo in a puffy shirt, a narcissistic creature of absurdly heightened sensibility. Like any caricature, it’s an image that is wildly incomplete and that, at the same time, contains an element of truth. 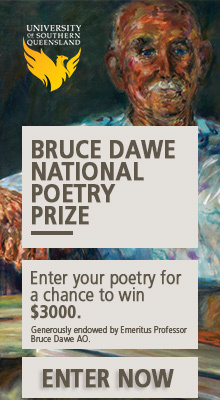 Recently in the Boston Review, critic Marjorie Perloff acidly outlined the contours of ‘a certain kind of prize winning, “well-crafted” poem – a poem the New Yorker would see fit to print and that would help its author get one of the “good jobs” advertised by the Association of Writers & Writing Programs’. In Perloff’s anatomy, contemporary poetry is Romanticism’s inbred, decadent heir, delivered by way of the Confessionals to the contemporary creative writing market. The autobiographical self of the poet is central: it’s the poet’s sensitivity, his or her lived authenticity, that defines the authenticity of the poem. The formal aspects of the poem, ‘the word as such’, retreats in importance to a secondary characteristic: it is the superficial plumage with which the poet conducts his or her courtship of the reader. The personality of the writer, as promoted on a million websites, is the ‘branding’ of the poem, a necessary attribute in a swollen and fiercely competitive market. Never has the author been less dead. Perloff, highlighting the ‘uncreative writing’ of poets such as Kenny Goldsmith or the aleatory techniques of John Cage, points out that poetry includes avant-garde traditions that push hard against this self-centred ideology. However, the culture that valorises the poetic self might be challenged through proliferation as much as through erasure. The most famous exponent of this approach is the Portuguese poet Fernand Pessoa, the inventor of the heteronym. The heteronym is more than a pseudonym – it’s the invention of an entire poetic personality, complete with biography, particular formal style and critical viewpoint. Pessoa produced, at last count, more than seventy. Which brings me to Philip Salom’s recent trilogy, Keepers. The first collection, published in 2010, is Keepers (by ‘Philip Salom’): a series of linked poems that forms an implicit narrative about the staff and students of an unnamed School of Arts. Theatrical, playful and sly, the book is above all a dazzling and deft celebration of poetic form, underlaid by a bass note of mortality that gives its mischievous shape-shifting unsettling depths. 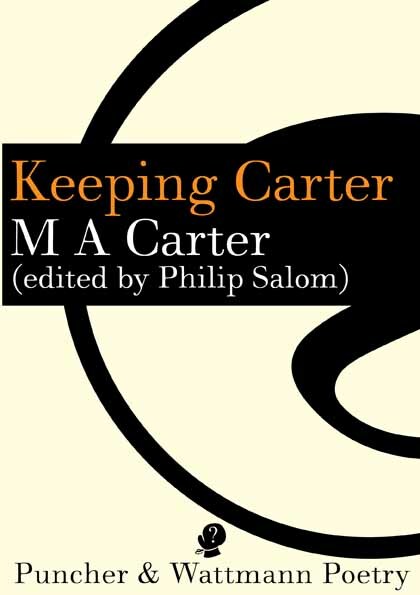 The Keeper of Fish and Keeping Carter emerge from the first book: they are heteronymic collections, respectively by Alan Fish and MA Carter, edited by Philip Salom. 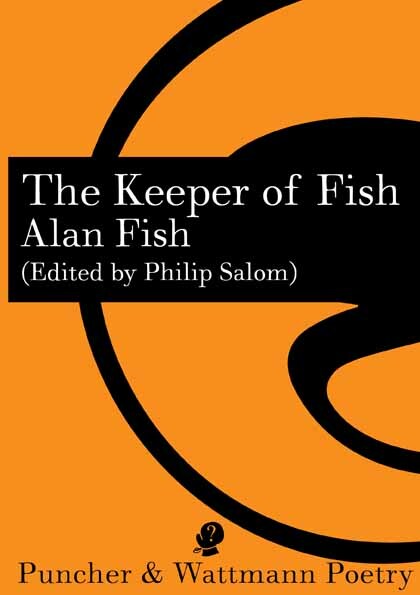 Alan Fish figures in Keepers, mostly in footnotes, as a general dogsbody and cleaner who lives in the campus basement; we learn that he is a poet and is planning to publish a book. Carter is more mysterious: in Salom’s forward, he strongly suggests that this heteronym, who writes poetry ‘in secret’, is in fact a pseudonym. For all the (slightly arch) editorial conceit, I’m not certain that these fictional selves quite qualify as heteronyms. Although both voices work a distinct mode or key, each seems the invention of a particular poetic consciousness. As George Steiner commented, Pessoa’s heteronyms were ‘exceedingly strange’: ‘For each of his “voices”, Pessoa conceived a highly distinctive poetic idiom and technique, a complex biography, a context of literary influence and polemics and, most arrestingly of all, subtle interrelations and reciprocities of awareness.’ Fish and Carter, although they share some of these characteristics, seem closer to what Pessoa called a ‘semi-heteronym’. Speaking of the semi-heteronym Bernardo Soares, Pessoa says that ‘his personality, although not my own, doesn’t differ from my own but is a mere mutilation of it’. In the case of the self-consciously misanthropic Carter and the alienated and melancholy Fish, mutilation seems like the proper adjective: their poems reveal that they are both, in different ways, damaged men. in my hands. I stare helplessly. propped on the car windows. Perhaps Salom’s proper antecedent, especially for Carter, is the John Berryman of ‘Dream Songs’, and his alter ego, Henry. Like Berryman, Salom’s Carter works with comedic vexations, meditations that reach from the intimate to the metaphysical, a colloquial contempt, an encroaching despair that emerges as rage. The language is looser than Berryman’s, less wound around itself. This is, I think, partly a function of Salom’s prosaic punctuation, as opposed to Berryman’s emphatic dashes and ampersands. There are complex reflective games going on in the trilogy: as well as referencing each other, the poems reach forward and back in a continuous meditation on culture as historical memory, personal expression or social construction. Carter – obsessed with Bach and Glenn Gould, the mathematically precise in tension with the improvised – tends to look outward, commenting on the society around him. Fish, unlike Carter, has an identity in this complex fictional reality, but all the same declares he is ‘anonymous. I learnt / myself from language’. He writes lyric poems about the incidents of his life – the death of his wife through cancer, his daughter, his aquarium. Both poets share a common elliptical perception (both liken cats, for instance, to inverted commas) and a pleasure in linguistic play. And both circle endlessly around dilemmas of masculinity, sexuality and relationship, which become the axes of an increasing anxiety and alienation. Neither is, by any means, a reliable narrator. As Carter says, ‘The I is the biggest con artist in poetry’. The Keepers trilogy as a whole is a full-frontal attack on the autobiographically authenticated poem that, all the same, often masquerades as precisely that kind of poem. Salom seems to be having his cake and eating it too. But what matters most is the language itself, the attention paid by Salom to ‘the word as such’: at its best, this distils into a formal spikiness and liveliness that makes these collections an experience of perpetual surprise. Alison Croggon is a Melbourne writer whose work includes poetry, novels, opera libretti and criticism. Her work has won or been shortlisted for many awards. Her most recent book is New and Selected Poems 1991–2017. Very much enjoyed this review Allison. I love the idea of heteronyms – somewhat like the development of fully fledged characters in a novel (which have an entire backstory in the novelists head – much of which never makes it to the page but assists in the development of an internally consistent character that is believable). I would be happy if the I or self in poetry sat further back in the bus, but in today’s world of internet platforms, this is becoming more difficult – the reader often assuming that the content of the poem is directly related to the poet’s self (and this providing a restrictive element to the writing – hence the freedom that is created via the use of a heteronym). Just wondering what the difference is between a heteronym and a persona? Is it a heteronym only if something is written under that name, rather than writing as if one were another character in a collection that is nevertheless authored under one’s usual name? A persona comes complete with a biography (if it’s a well known historical or mythological character) so is the invention of the biography the main difference? They slide into each other, it seems to me. Both are (or can be) a type of distancing effect. These books sound engaging and I’ll certainly seek them out. Thanks for a great review, Alison. I haven’t read these books yet and will be doing so soon, but it does seem to me that you’re right about these names being ‘semi-heteronyms’ (metonyms?). Either way, the experiment seems to have produced rather fascinating results. Thanks for the comments, all. Penelope, I guess the difference between a heteronym and a persona is basically one of degree. Pessoa’s heteronyms are personae of enormous detail and articulation, each with independent literary lives, and are totally distinct from each other. As Steiner said, “exceedingly strange”. They’re extensions of the idea of fictional voices like, say, Berryman’s Henry, which is more a poetic persona, or the various lyric voices that a poet might employ, but much more extreme. Thanks for the great review Alison. I only wanted to say: isn’t it not really a heteronym if it is presented as one? Isn’t the idea precisely to *not* admit that the author is an invention? For as soon as Salom speaks as author and illuminates the device behind his work, he has just occupied precisely the space his invented author required in order to exist. The admission deprives him of is reality, reduces him to a fancy, kills him. So the author is dead, but the wrong one! Salom’s full authority is restored, he’s resurrected, for he is the individual with the powers to invent and *survive* fictional authors, themselves given life or death but never the power to slay or even merely muscle out Salom for the space of a work or two. They’re kept in leading-strings from the outset, and never really present any danger to the author/owner’s person. Unless we are also supposed to question Salom’s authorship also? I’m not especially invested whether or not we all get the death of the author down pat or not, but don’t think this sort of project really offers a fundamental challenge to Perloff’s favourite foil of the naive confessional/autobiographical/self-expressive poetic selfhood, the foil whose inauthentic blood she keeps rousing us all to lust after. Nor need it in order to be a success, but I think we should be cautious about overestimating the opposition, and consider whether or not this is really the fundamental axis of poetics that Perloff and Goldsmith et al. think it is. Then the device Salom employs seems to be little more than a gimmick vaguely inspired by Pessoa’s projects, something to liberate the human author and facilitate creation, rather than a serious attempt at self-effacement or -proliferation. All this obviously without casting any judgement let alone aspersion on the poetry itself in Salom’s books. Hi Marty – I agree with your reservations here, including those about Perloff’s argument. I do think she’s delineated a certain kind of poem fairly acutely, however I might differ on how she draws the lines. As I said, I think the poems call into question the idea of autobiographical authenticity, which is a different thing to what you are pointing towards here, which is a question of what might be called writerly authenticity. Autobiographical authenticity seems to me to be perhaps a minor part of the whole construction of the “author”, but it’s certainly its most popular manifestation. To be clear, Salom doesn’t admit the author is an invention, in that his introductions and crediting are those of an “editor”. But the conceit that Salom actually wrote these poems is pretty transparent. To take a contrasting example: Kent Johnson is widely thought to be the author of the “Hiroshima poems” by Araki Yasusada, but I have never seen him admit it anywhere, even tacitly. Yasusada is an elaborate invention with a complex history, who sent poems to literary magazines before the collection was published and who has at least three translators, one of whom is a real Japanese poet. Of course the publication of the poems caused a scandal, and seriously embarrassed the publishers. It’s now usually referred to as a hoax, which seems to beg several questions that I expect Yasusada was intended to raise. That seems to me something much more like a heteronym. Fascinating review, Alison, and an interesting discussion. Mmm… on admitting to inventions, etc – Fernando Pessoa wrote in his own words about the heteronyms within himself. It was known. I would do the same, had I any.